You can earn miles at a fairly high rate with this no-annual-fee airline card, but you can find several flexible travel cards — and even a few cash back cards — that offer more flexible and more valuable rewards. 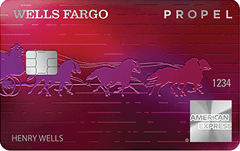 The Fidelity Rewards card offers cash back at a high 2 percent rate, but — if you’re not inclined to open a Fidelity bank account to get the card — you may be better off searching for a cash back card with fewer restrictions or even a travel card with flexible points. The Best Western Rewards MasterCard offers frequent hotel guests a decent number of bonus points on hotel stays; but its modest sign-up bonus and skimpy rewards on non-hotel purchases limit its appeal. With a low APR and generous sign-up bonus for moderate spenders, the Sun Country Airlines card is a good value for domestic travelers; but the airline’s limited flight path and restrictive redemption policy may limit its appeal. The Citi Premier card offers a generous travel rewards program, but its meager airline transfer options limit its appeal. Cardholders who aren’t specifically looking for a United Club membership will find a plethora of rewards cards with better perks and much lower annual fees than the United MileagePlus Club Card. This offer is no longer available on our site. Though the PayPal Cash Back Mastercard offers good rewards rate, cardholders who are not regular PayPal users may find the redemption options too cumbersome. 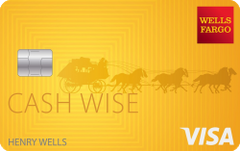 With a flat rate of 1.5 percent cash back on all your purchases, a generous sign-up bonus and a special bonus for mobile payments in the first year, the Wells Fargo Cash Wise card is especially awarding to new cardholders. With a decent APR and a higher-than-average rewards rate, the Key2More Rewards MasterCard sounds like a great deal; but when you add up the value of the card’s inflated rewards points, you’ll find this card isn’t as generous as it seems.